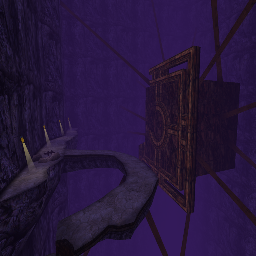 "Kadish Sprint" is a track based upon the "URU : Ages Beyond Myst" level named Kadish Tolesa. Purple building, floating vault, stone pillars, trees... everything is inspired from the original level. Reversed mode is currently unavailable. It is planned for release in 2017. As usual, please see readme for details.